Every man is confronted with the challenge in life to walk with integrity. Left to our own ways and devices, we can easily make a mess of any situation. God hasn’t left us to figure out how to manage our own circumstances or emotions independently. Rather, He has told us how to guard against that, and learn from Him. 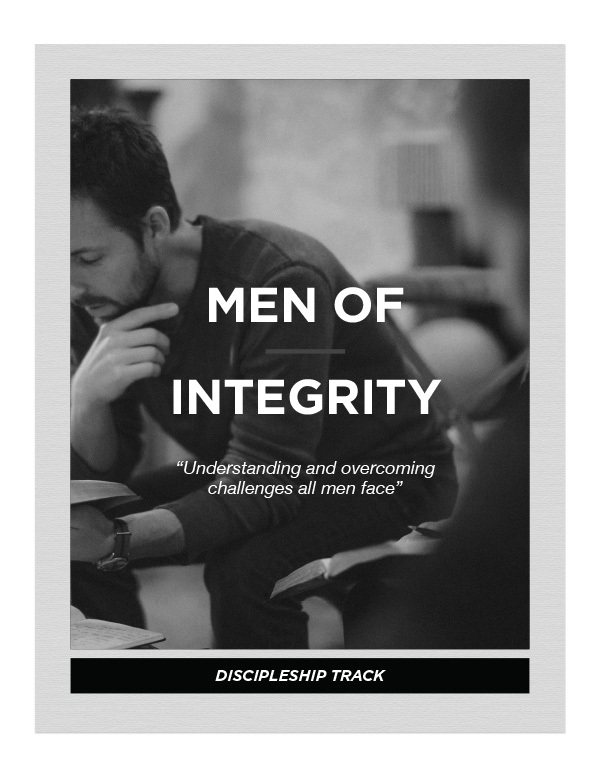 In this Discipleship Track, we will take a look at six different areas that all men wrestle with and how the Bible can help us learn to walk with integrity. The challenge of a pure heart (lust): Understanding what lust is and its relationship to the decisions we make. Controlling our emotions (anger): Understanding the emotion of anger and to use it in a constructive way instead of a destructive way. Managing circumstances honorably (manipulation): Investigating the root causes of manipulation, how men use it, and how to overcome its magnetic pull. We can always learn more (pride): Exploring the common struggle that all men have being unteachable. Taking ownership (responsibility): Discovering God’s expectations for men and how to become more mature in their responsibilities. Get it done today (procrastination): Discovering the causes and solutions to the desire of our sinful heart to delay in fulfilling our responsibilities.